The one constant in life is change. It’s impossible to know exactly what our personal circumstances will be like in decades or even just a few years away. When we make big decisions like buying a home it’s a decision that will affect our financial life for many years to come. 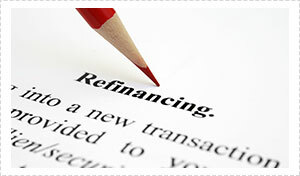 Refinancing is a way of changing the original conditions of a loan. It is most commonly associated with home loans. How do you know if you should refinance? Refinancing a home loan means replacing the original loan with a new one. This would usually be done in order to obtain a better interest rate or better terms than the original home loan had. Changes to home loan rates can make a big difference over the long term, sometimes even short term, on loan repayments. A variable interest rate that you choose years ago may not be the best interest option for you now. Refinancing involves paying off an existing loan and creating a new loan that better serves your current financial situation. Refinancing may benefit you in both the short term and in the long term. You should seek professional advice before considering any type of refinancing. If we all had a crystal ball, we probably wouldn’t ever need to refinance a loan. But over time economic conditions change, both locally and globally and so do personal finances and circumstances. Sometimes people refinance in order to take some equity out of their home for repaying other debts such as credit card debt or maybe to purchase a new car. A popular option is taking out home equity in order to renovate your house and increase its value. Put simply the home loan that was right for you when you first took it out may not be right for you today. Refinancing is not just about changing interest rates on your loan, you are actually entering into a new loan contract so you’ll need to take into consideration newly associated account fees and charges that you may incur. These costs can be difficult to figure out on your own so be sure to seek professional advice to make sure refinancing is still a worthwhile pursuit. Our goal when we help you refinance is to find and negotiate the best refinancing loan for you to improve your current situation. If you are finding your mortgage repayments too high, refinancing from a variable interest rate to a fixed interest rate may be an option for you. 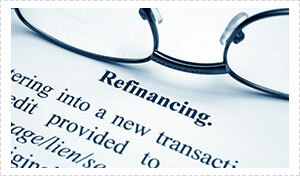 Call us for friendly professional advice on refinancing. There is strong competition in the home lending market which means that products change and new products become available. At Nexhome Finance we service the Gold Coast and Brisbane and we have over 30 lenders at hand to make shopping for a home loan a borrower’s advantage. If you think you’d be better off with refinancing we’re here to help.